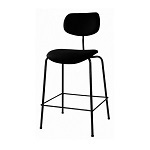 Backrest is adjustable in height and angle and is covered with black plastic material. Position-tilting seat possible. Seat height: approx. 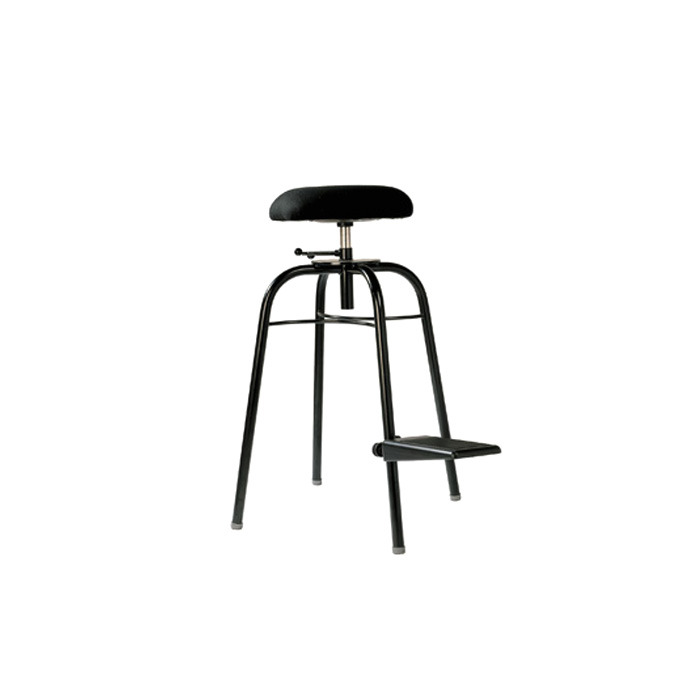 500 mm, (custom seat heights upon request) seat width: 450 mm, seat depth: 400 mm, weight: 8.0 kg. foam at a nominal charge. 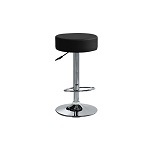 Five-legged star base, black or chrome. Seat and backrest of laminated beech veneer come in natural or stained, finished with clear DD lacquer. In the upholstered seat version, ventilation holes are standard. Rubber fiber material for better comfort, foam at a nominal charge. 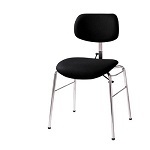 Backrest is adjustable in height and angle and is covered with black plastic. Seat height: approx. 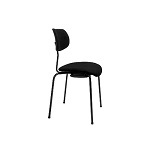 640 – 820 mm, chair width: 450 mm, chair depth: 400 mm, weight: 15.0 kg. Four-legged base of tubular steel, diameter 25 x 2 mm, black or chrome. Equipped with anti-tip safety advice. 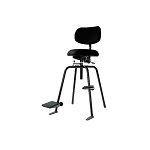 Folding footrests of PUR foam, adjustable in height and direction. Locking nut seat height adjustment. Seat and backrest of laminated beech veneer come in natural or stained, finished with clear DD lacquer. 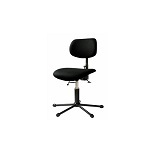 In the upholstered seat version, the round seat with ventilation holes is standard, non-swivel, with a notch integrated for right leg in PU foam upholstery. Seat height: approx. 770 – 920 mm, seat diameter: 420 mm, weight: 16.0 kg. Stack able using a stacking rack. 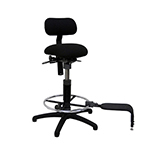 Folding footrests of PUR foam, adjustable in height and direction. Locking nut height adjustment. Seat and backrest of laminated beech veneer come in natural or stained, finished with clear DD lacquer. 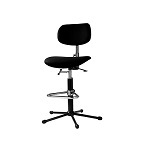 In the upholstered seat version, the round seat with ventilation holes is standard construction, non-swivel. PU foam upholstery. Seat height: approx. 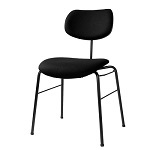 720 – 820 mm, seat diameter: 380 mm, weight: 8.0 kg.